Hi, lovelies! How are you all doing? Here I am again for another circle lens review and it's from EYECANDYLENS.COM. EyecandyLens.com is an online marketer of cosmetic products. We were established after months of extensive research and experimentation to find the best quality products we could find. 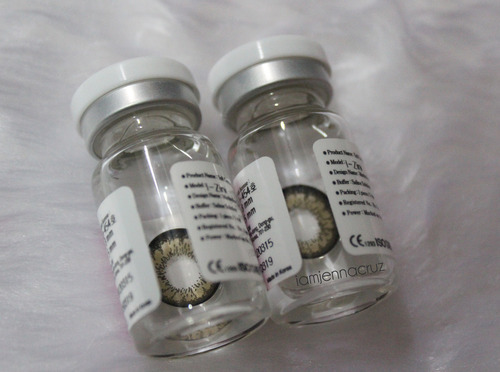 Our specialty is cosmetic color circle and contact lenses. We are dedicated to helping our customers enhance their confidence and charisma through this novel beauty tool. 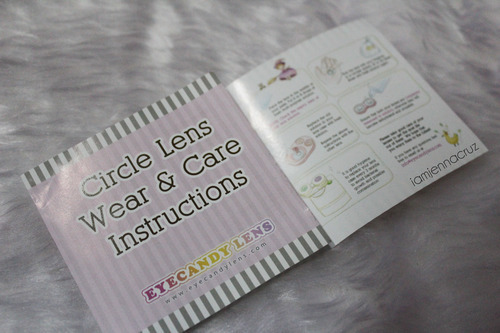 The package I received includes a pair of circle lens itself, lens case, eye candy lens card and a cute wear and care instructions brochure. Here are my thoughts about these lenses. Design & Color - The design is indeed beautiful! The little spikes gives an anime looks. It's medium to dark brown blends perfectly plus it's thick and prominent black outer ring adds a little drama and makes your eyes appear bigger in a nice way. Enlargement - The diameter of these lenses are 14.5mm. It really makes your eyes appear bigger than usual. And I really admire this kind of diameter so this is just right for me. Comfort - These are really comfy to wear! They don’t dry out your eyes that quick and it don't leave you an uneasy feeling if you wear them longer than 6-7 hours. 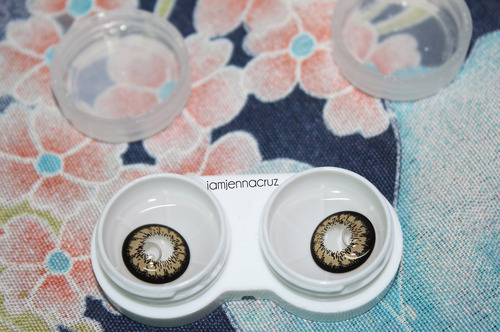 A perfect 15 for these circle lens! It's awesomely perfect for me! :) How about you? Did you like it? 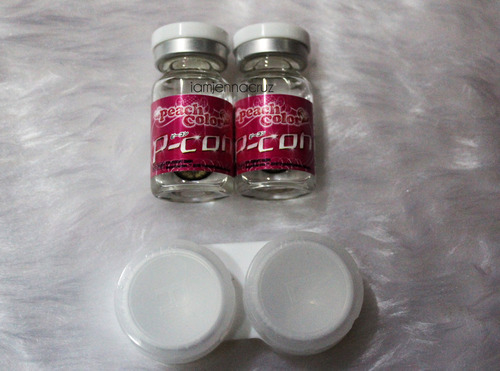 If you're a fan of bigger size circle lenses, you should try this one! 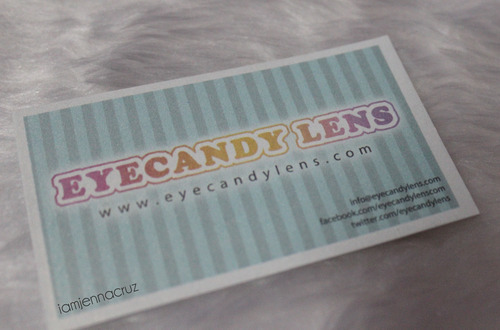 And don't forget to avail this at EYECANDYLENS.COM. And this shop also have a variety of beauty products! And by the way QUALITY is of utmost importance to EYECANDYLENS.COM. All their lenses are sourced from reputable manufacturers in South Korea who are certified by the KFDA and various other international health regulations. Their products are 100% authentic guaranteed or your money back.